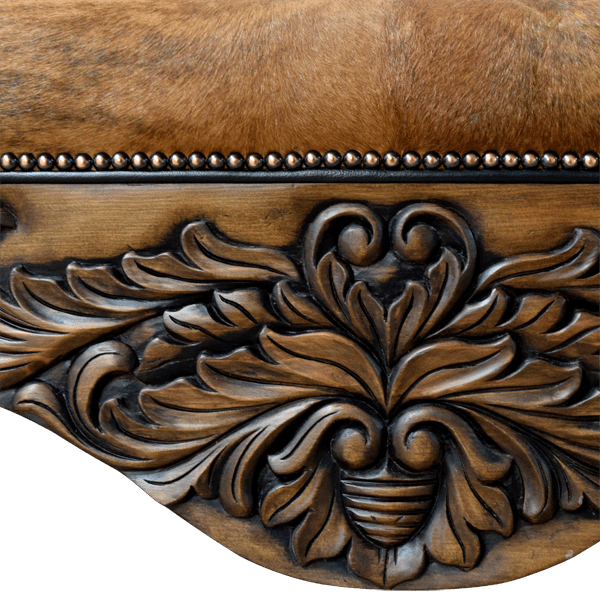 We have a wide variety of full grain leather and fine fabric upholstery available, and you can select the upholstery that is appropriate for your home décor. 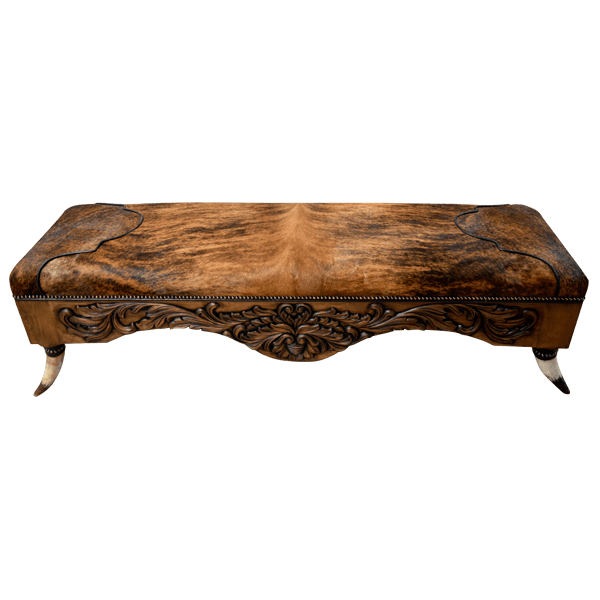 The well padded seat of this handcrafted, Western style bench is designed without a back, and the center portion of the seat is upholstered with rich, brown, patterned, cowhide. 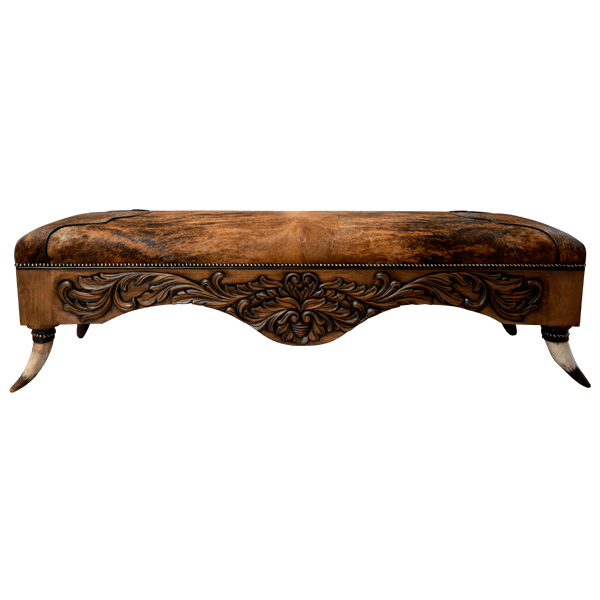 The lateral sides of the seat are also covered in the same cowhide, but in in a Western cut design. The junctions of the cowhide are painstaking sewn together with a contrasting, black, leather cord. 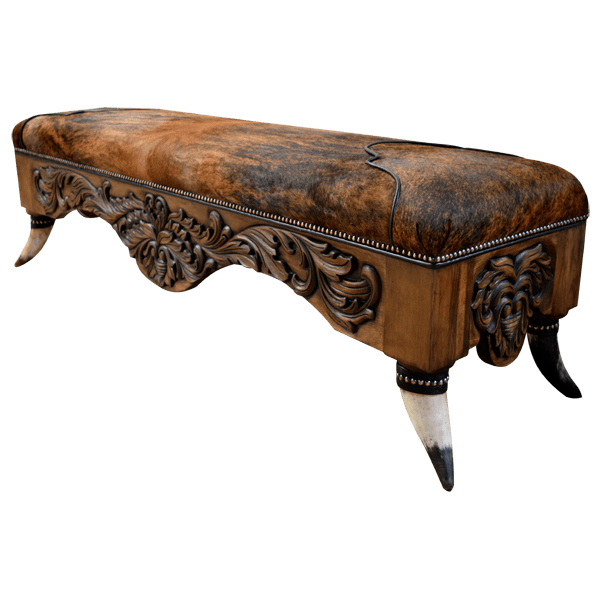 Also, the cowhide is hand tacked to the solid wood frame with decorative, gilt nails. 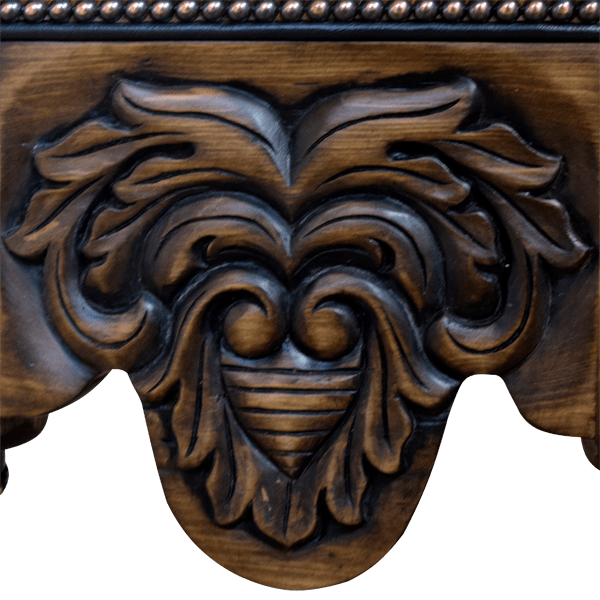 This bench features a beautiful, curved, colonial style apron on its front, and the apron is adorned with gorgeous, hand carved, floral details that flow across the entire apron. 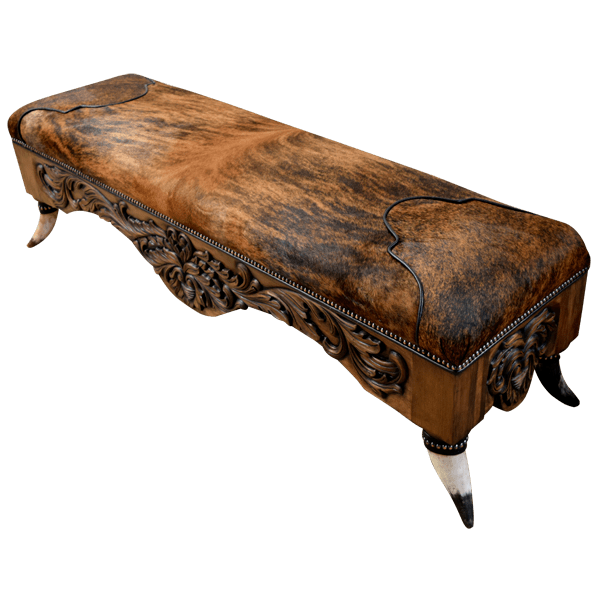 The bench rest on sturdy, inverted, cow horn supports, and the hilt of each horn is adorned with a leather strap hand tacked with decorative, gilt nails. It has an antique finish, and it is made with the best, sustainable, solid wood available. The bench is 100% customizable.